How Can a Daith Piercing Alleviate Migraines? In the United States, over 37 million people suffer from migraines. Research shows that about 13% of adults suffer from them, with two to three million people suffering from chronic conditions. Despite the number of migraine sufferers, there’s still little known about this condition. 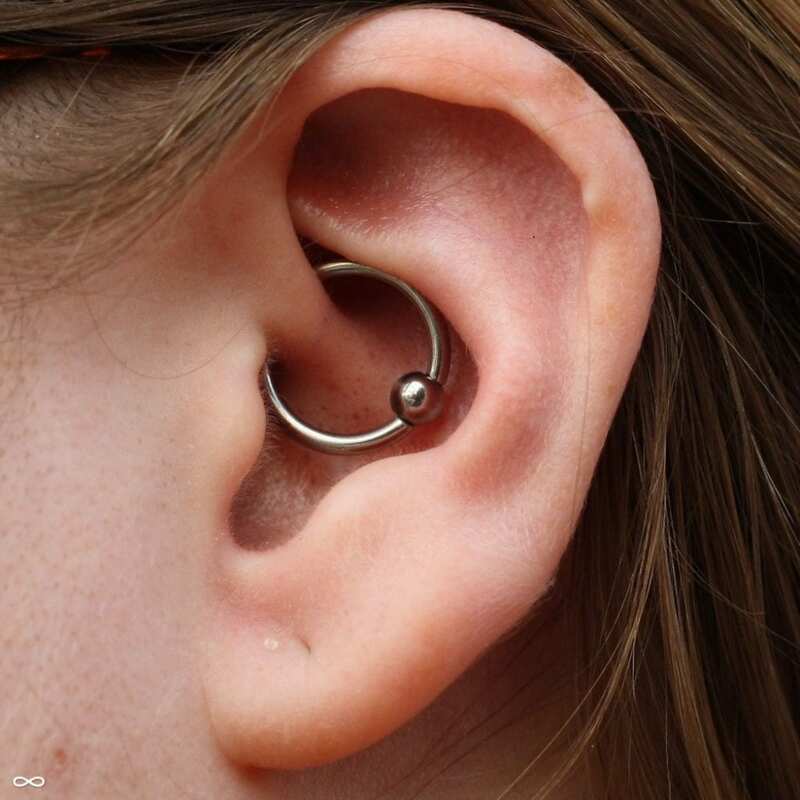 There are a wide variety of treatment options, and in this article, we’re going to delve into one possible treatment option: the daith piercing. Migraines are one of the most misunderstood chronic conditions. Many people believe migraines are just really bad headaches. But in reality, migraines are incapacitating episodes of severe, recurring head pain that can be accompanied by other symptoms like nausea, dizziness, and light, sound, or smell sensitivity. Each person is different and therefore has different experiences with this condition. But one commonality can be seen amongst all sufferers: the desperate need for pain relief. Unfortunately, there is still no one known cause of these incapacitating episodes. Scientists know that this condition can run in families and may involve the nerve pathways and brain chemicals. But since there is no specific cause, treatment options don’t always work. Many sufferers treat their episodes with over-the-counter pain medications. Others seek prescriptions from their doctors. Aside from medication, many patients try acupuncture, aromatherapy, and other holistic approaches to provide migraine relief. So while there are pain management options available, some methods might not work. For that reason, people have begun turning to the daith piercing in recent years. Can a Daith Piercing Really Help Migraine Sufferers? With no “one size fits all” treatment option, sufferers have been visiting tattoo shops to get their daith pierced. The daith is the smallest fold of cartilage in the ear just above the ear canal. While you may not think about getting a piercing being an appropriate pain relief activity, a MigrainePal survey found that 47% of respondents said that after getting a daith piercing, their episodes became less frequent. Furthermore, 50% said that getting a daith piercing helped to reduce the severity of their episodes. So, how exactly does a daith piercing help with migraines? It’s believed that the daith piercing hits a pressure point that is associated with digestive organs. When this area is pierced, it provides constant pressure, which can then provide pain relief. While there are some skeptics about this piercing being an option for migraine relief, many people have found it to be successful. Like previously mentioned, not all treatment options for everybody. But even if it doesn’t help lessen migraine episodes, it’s still a cool piercing to get.